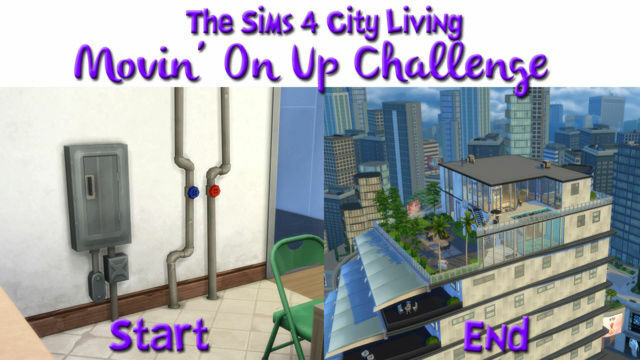 **NEW EXTREME START OPTION** – With the addition of The Sims 4 Get Together an “Extreme” start (similar to what was in the Sims 2 Legacy Challenge Advanced Rules) is now an option. Successfully completing an extreme start will net you one bonus point (see the Scoring section under “Handicaps” for more details). To start an “Extreme” Legacy Challenge you must move your founder onto one of the new 64 x 64 lots in Windenburg (after the lot on it has been demolished). This will leave you with $8000. You can not buy or build ANYTHING until you earn enough money to buy the Knight of the Octagon Table (which costs $8200). Once the Knight has been purchased (leaving with you no money) the challenge can start as per usual. The Knight MUST be purchased before the first set of bills arrive, failure to do that results in you being unable to earn the bonus point (it does not, however, fail your challenge). Place those three items into your inventory (which totals $6200) and start the challenge as per usual with the standard $1800 starting cash. Very interesting......the possibilities are endless with kind of challenge.